Praised for her “plush storm of a voice” and “graceful stage presence,” mezzo-soprano Lisa Chavez (Dolores Claiborne), has recently made Carmen a signature role in performances with New York City Opera and Opera San Jose. This season she returns to the role with eleven performances at Sarasota Opera where she made her debut last season as Madame de Croissy in Dialogues of the Carmelites. In June she made her Carnegie Hall debut as Alto Soloist in Dan Forrest’s Jubilate Deo. In the 2013-2015 seasons Chavez was a principal resident artist with Opera San Jose. Roles sung during her tenure include Isabella in L’italiana in Algeri, Donna Elvira in Don Giovanni, Hansel in Hansel and Gretel, Maddalena in Rigoletto, Harriet Herriton in the premier of Where Angels Fear to Tread, Suzuki in Madama Butterfly, Meg Page in Falstaff and Third Lady in Die Zauberflöte. Her other memorable roles include Paula in Florencia en el Amazonas at New York City Opera, Federico García Lorca in Ainadamar, Dinah in Trouble in Tahiti, the Secretary in The Consul, Madame Volanges in Dangerous Liaisons, and Dorabella in Cosí fan tutte. 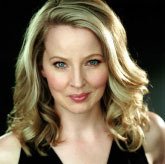 Soprano Jessica Tyler Wright (Vera Donovan) most recently appeared with New York City Opera in the critically acclaimed 2017 production of Candide directed by Hal Prince, reprising the role of Paquette from the 2008 production. Her Broadway credits include John Doyle’s Sweeney Todd and Company, MTC’s LoveMusik directed by Hal Prince, and Lincoln Center’s War Horse. Off-Broadway, she earned a Lucille Lortel nomination for Outstanding Featured Actress in a Musical for her role as Marjorie Taylor in Allegro with Classic Stage Company. She toured the U.S. and Canada with Sweeney Todd and had a turn as Mrs. Claus in the Radio City Christmas Spectacular in Atlanta and Dallas. Her regional appearances include Marian in Music Man and Lilli in Kiss Me Kate with MTWichita, KT in Merrily We Roll Along with Cincinnati Playhouse, Grace in Annie with North Shore MT, Irene in Crazy for You with MTWichita and CA Music Circus, Mary Jane in Big River at Papermill, and Kost in Cabaret at CA Music Circus. 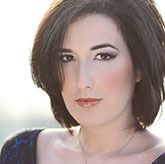 Soprano Lianne Gennaco (Selena St. George) returns to New York City Opera for Dolores Claiborne after making her debut covering Cunegonde in last season’s revival of Candide with legendary director Hal Prince. 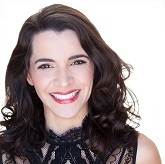 Last season, Ms. Gennaco also joined City Opera for Respighi's La campana sommersa, and the American premiere of Antonio Literes's Los elementos. She was recently praised by Opera News for her “bright and flexible soprano” and having sung with "penetrating humility" for her creation of the role of Ann in the New York premiere of The Astronaut's Tale with Encompass New Opera and the Brooklyn Academy of Music. Later this season, she will return to the musical theater stage to reprise the role of Meg in North Shore Music Theatre’s annual production of A Christmas Carol. Ms. Gennaco is a graduate of the Indiana University Jacobs School of Music. Tenor Spencer Hamlin (Thibodeau) has been praised by Opera News for his “dazzling Italianate voice” and “scintillatingly smooth leggiero tenor” for his performances of Tonio in La Fille du régiment and Alfred in Die Fledermaus with Martina Arroyo's Prelude to Performance series. This summer, Hamlin returned to Prelude, singing Rinuccio in Gianni Schicchi. He received his Master of Music degree from the University of Connecticut where he studied under Dr. Constance Rock. While at UConn, Mr. Hamlin’s roles included the Witch in Hansel and Gretel, Nemorino in L’elisir d’amore, Almaviva in Il barbiere di Siviglia, the title role in Albert Herring, Tamino in Die Zauberflöte, Judge Danforth in The Crucible, and Percy Grainger in the U.S. Premier of Justin Dello Joio’s Blue Mountain. 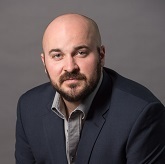 Mr. Hamlin has also performed with the Hartford Chorale and Symphony Orchestra, Greater Middletown Chorale, Connecticut Lyric Opera, Opera Theater of Connecticut, Hartford Opera Theater, and Wendy Taucher Dance Opera Theater. Tobias Picker, called “our finest composer for the lyric stage” (The Wall Street Journal), has composed works in all genres including five operas to date. His sixth opera is a commission from New York City Opera and is scheduled for premiere in 2019. Picker’s operas have been commissioned by the Santa Fe Opera, The LA Opera, The Dallas Opera, San Francisco Opera, and The Metropolitan Opera, and have gone on to be produced by New York City Opera, L’Opera de Montreal, Chicago Opera Theater, Covent Garden, Opera Holland Park, and many other distinguished companies. In addition, Picker’s large body of concert works have been commissioned and performed by the BBC Symphony Orchestra, Chicago Symphony, Cleveland Orchestra, Munich Symphony Orchestra, Helsinki Philharmonic, L’Orchestre de Paris, New York Philharmonic, and Philadelphia Orchestra, among many others. Mr. Picker was elected to the American Academy of Arts and Letters in 2012. He is currently Artistic Director at Tulsa Opera. J. D. McClatchy has been called by The New York Times “the dean of American librettists,” and by Opera News “the most important librettist on the American opera scene.” He has written 16 libretti for such composers as Ned Rorem, Jeanine Tesori, Bernard Rands, and Loren Maazel. His work has been performed at the Metropolitan Opera, Covent Garden, La Scala, The Los Angeles Opera, and at other houses around the world. He and Tobias Picker’s first collaboration was the 1996 opera, Emmeline, premiered at the Santa Fe Opera and widely performed elsewhere since then. McClatchy is also a poet and has written eight volumes of poetry, most recently Plundered Hearts: New and Selected Poems (Knopf), four books of prose, and he has edited dozens of other books and anthologies. He recently retired from Yale University, where he taught for decades. Joe Isenberg's fight choreography has been seen in productions at venues around the country including the Glimmerglass Festival, Bard SummerScape, Washington National Opera, Kennedy Center’s Theatre for Young Audiences, Arena Stage, Woolly Mammoth Theatre Company, RoundHouse Theatre, Studio Theatre, Signature Theatre, Theatre J, Humana Festival 2011 and 2012, Florida Stage, and InterAct Theatre. He has served as Assistant Fight Choreographer at the Metropolitan Opera, Folger Theatre, Actors Theatre of Louisville, and the Alabama Shakespeare Festival. Mr. Isenberg has been a guest teacher at The University of North Carolina School of the Arts, Howard University, Georgetown University and the Duke Ellington School of the Arts. 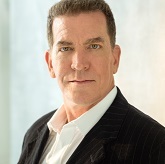 He received the 2013 Helen Hayes Award for Outstanding Choreography and was the Kennedy Center/Keenan Fund for the Arts Fight Choreographer in Residence for the 2010-11 season. He is a graduate of The North Carolina School of the Arts.